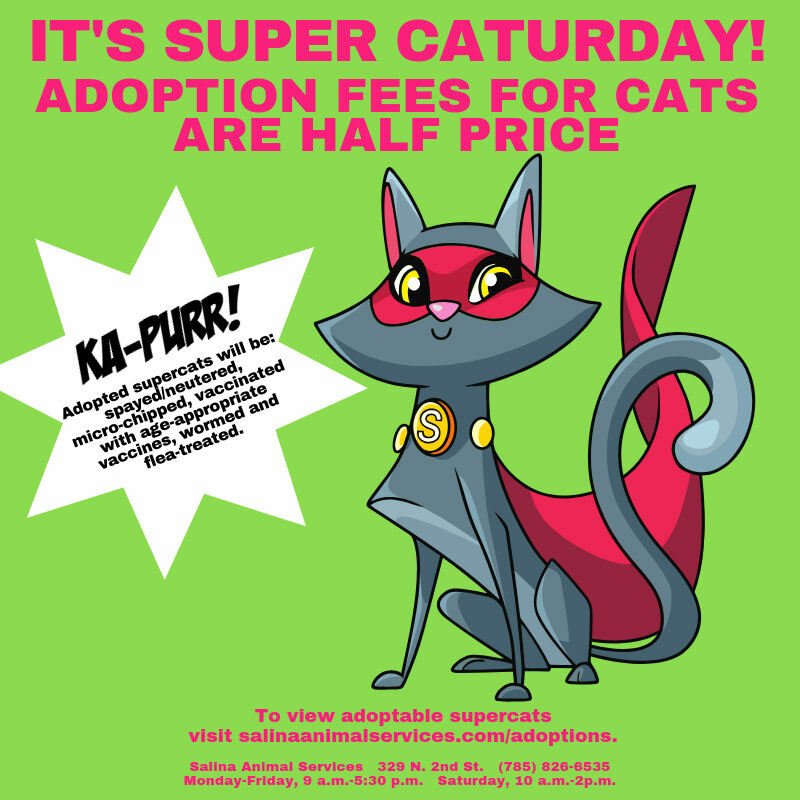 The Salina Animal Shelter is hosting “Super Cat Saturday”. According to the City of Salina, cat adoption fees at Salina Animal Services are half price through Saturday. The Salina Animal Shelter, located at 329 N. 2nd Street, is open Monday-Friday, 9 a.m.-5:30 p.m., and Saturday-10 a.m.-2 p.m.
To view adoptable pets, visit www.salinaanimalservices.com/adoptions.